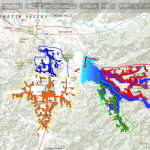 Simtable’s simulations allow emergency management in Lane County, Oregon to quickly determine emergency plans in case of dam breaches along the Willamette River Valley. 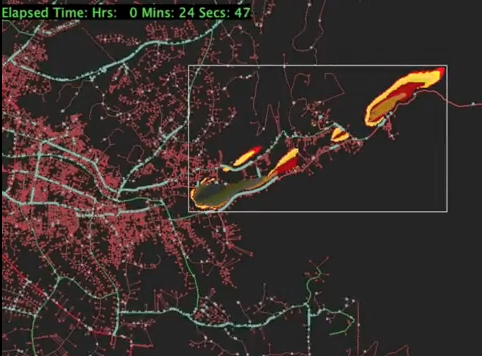 Populations evacuate towards designated safe areas, once established. 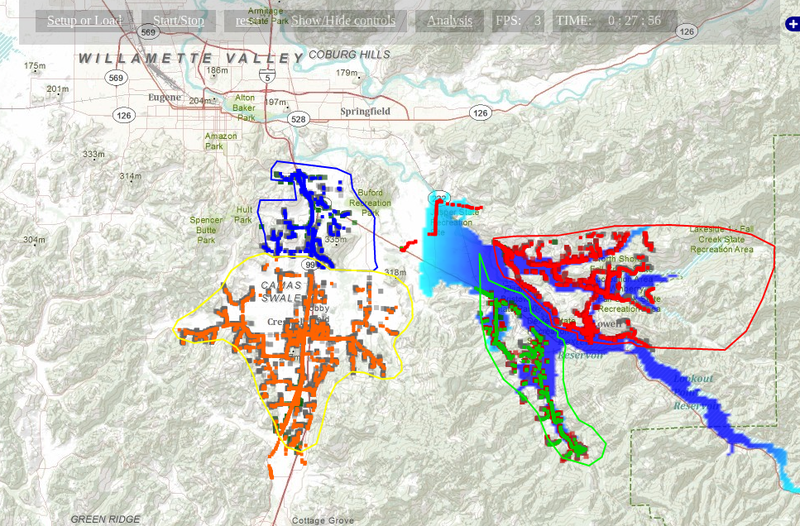 Simtable’s flood simulations, derived from the counties existing GIS shapes, interact with the evacuation model and provide an analysis of how efficient existing plans are. 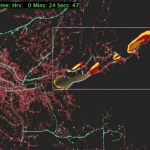 This allows emergency managers to dynamically create simulations that ultimately aid in proposing better, more efficient plans as incidents unfold.